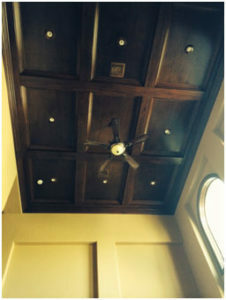 At Southern Highlands area of Las Vegas, this project called for new paint on walls, wood panels on columns, a new ceiling over dining area with a coffered ceiling (pictured right) as well as new fixtures and fireplace. One of the areas that presented a challenge was the removal of a column along with a soffit above it. Our Clients wanted a more open entry into their home. Once plans and changes were approved, we proceeded with remodel. The new entry in the house is now more open and inviting. The column is gone and a new banister was placed along the iron. 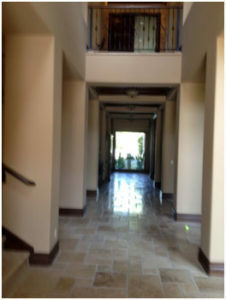 Wood panels were added to all columns along entry hallway as well. The stone fireplace was replaced with a more modern look. 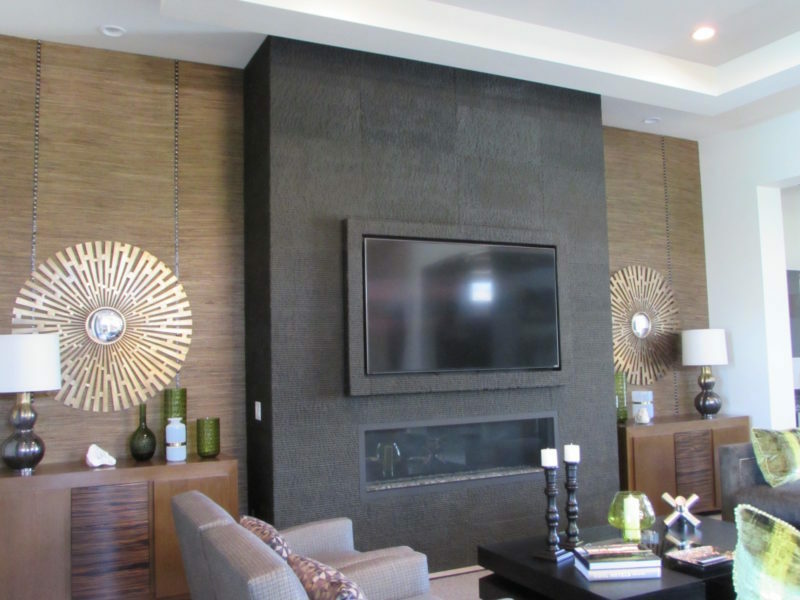 A see through Montigo R620ST Linear Fireplace. Both sides were surrounded with polished marble. One side was for the dining room while the other side opened into the living room. On the open space above the fireplace and Dining Room we installed a full size mirror which reflects some of the afternoon light into the home’s entry area. 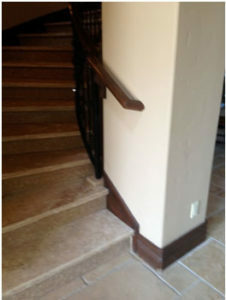 This was the most recent remodel for this project. We had previously done a full remodel in the kitchen and powder area.